ASU graduate students learn how to "pitch" research projects to the public. Michele Clark studies invasive plant species, and her research could help save people from being attacked by tigers in a forest in Nepal. Ashley Quay knows that it feels overwhelming to think about how to save the environment, so she used her studies to develop a way to empower people to make small changes. These women are just two of the hundreds of graduate students at Arizona State University who are taking their research and applying it to the real world. They also were the two winners of the Knowledge Impact Mobilization Awards presented by the Graduate College last week. The awards were the latest in a series of events marking the 80th anniversaryThe first head of graduate education was Frederick Irish, namesake of Irish Hall. of graduate education. ASU conferred Master of Arts degrees in education to four students in 1938. In 1958, the Graduate College was officially formed, and the first PhDs were granted in 1963–64. Now, the college serves more than 21,000 graduate students across all locations and online from 125 countries. And while nodding to its history, the Graduate College is focused on looking ahead, according to Alfredo Artiles, the dean of the Graduate College and the Ryan C. Harris Memorial Professor of Special Education in the Mary Lou Fulton Teachers College. “Graduate education is about specializing, going deeper into topics and developing expertise in specific areas. For many years, that specialization was along disciplinary lines,” he said. But ASU is known for blurring disciplinary lines. And that’s why there are nearly 70 master’s and doctoral programs in interdisciplinary areas such as environmental social science, health care and healing environments, and supply-chain management and engineering. “It’s not just an advanced degree. You come out of our programs with a mindset, a commitment to engage in problems that matter to people,” Artiles said. That’s how Clark saw her research in Nepal, where she spent time talking to the villagers whose lives depended on the forest. They helped her design an experiment to remove an invasive vine that was obscuring the forest, making villagers looking for firewood more vulnerable to attacks by tigers and other animals. Then, the community members themselves worked on the project, which was successful. “By encouraging their perspective, we were able to design an experiment that was culturally and financially feasible to them,” said Clark, a doctoral student in environmental life sciences. After that, she held workshops and designed an information kit for the villagers to share with other communities in Nepal on how to eradicate the vine. “Our mission was to make science that is relevant, transparent and useful for the local community to use,” she said. That “knowledge mobilization” is critical to the mission of the Graduate College, Artiles said at the awards ceremony. “It’s a very relevant notion. We live in an era of the most incredible knowledge production in the history of humankind. The expectation is to not only produce it and possess it, but to use it for demonstrable impact,” he said. So two years ago the Graduate College started the Knowledge Impact Studio, a one-credit course to teach grad students how to translate their research into real-world action. The course walks students through a process in which they answer, “Why do people care about this?" “We force them to move into the professional arena and the concerns of policymakers,” Artiles said. The studio helped Emily Zarka turn her dissertation into a series with PBS Digital Studios. The show, called “Monstrum,” streamed on Facebook last fall and will appear on YouTube starting April 10. The series explores monsters and legends from a literary perspective. “It was an amazing opportunity not only from a networking perspective, but also because the conversations and training I received gave me the confidence to approach PBS and consolidate my ideas and make them as big as they could be,” said Zarka, who received a doctorate in British Romantic literature and is now a faculty associate in the Department of English. “How do you pitch your research like it’s a product to the public?” said Zarka, who presented her project to a roomful of businesspeople during the training. “We were literally giving our presentation to people who had zero idea of what we were talking about and who were not in our field. In the early years, graduate education at ASU was intended to train teachers. Tamara Underiner, associate dean for academic affairs at the Graduate College, looked into the history of the college in preparation for the anniversary events, even reading the minutes of the university graduate council from the 1930s. A few years after the first graduate degrees were awarded, someone wanted to do a thesis on a topic other than education. The committee was divided on whether to allow it. So the committee took it to the president of ASU at the time, Grady Gammage. “He took the opinion that it was better to keep an open mind about these things,” she said. Now there are 525 graduate degrees and certificates offered. Famous graduate alumni include Sen. Kyrsten Sinema, who has a master’s degree in social work; Temple Grandin, an author and speaker on autism and a professor of animal science at Colorado State University, who has a master’s degree in animal science; and Barbara Barrett, a former astronaut, ambassador, presidential adviser and chairman of the Aerospace Corp., who has master’s and law degrees from ASU. Underiner was a faculty member in the Herberger Institute for Design and the Arts and said that the Graduate College has always been committed to helping students find funding. Graduate students earn their degrees from the college of their program, so why have a Graduate College at all? “One reason is to ensure there is program quality and integrity and that we’re designing and implementing programs that follow best practices and expectations from disciplines and credentialing boards,” Artiles said. Another reason is to share best practices among the disciplines, like setting up a mentoring program, creating a handbook or recruiting the best candidates. The Graduate College also provides mentoring for students, support and resources for postdoctoral researchers and added staff to help students get their research nominated for prestigious awards. The Knowledge Mobilization Awards program also is relatively new, in just its second year. While Clark won the award for doctoral students, Quay won for master’s degree students. She is pursuing a master’s degree in sustainability leadership. Her project, “Positively Impactful,” is a social-media campaign and website that highlights changes people are making to be more sustainable. “The doom-and-gloom approach is leaving people disheartened, overwhelmed and stagnant to change,” Quay said. The Graduate College Distinguished Lecture will be held at 4 p.m. April 16. William F. Tate IV, the dean of the Graduate School and the vice provost for graduate education at Washington University, will give a talk titled, "Disrupted! Graduate Education and the Democratic Project." On Friday, April 5 at 7:30 p.m., ASU Kerr Cultural Center will present "The Abney Effect" in a kickoff celebration of Jazz Appreciation Month, a month created by the National Museum of American History to praise jazz as a historical and living treasure. “I was very impressed with Mario’s ability to not only play the trumpet, but entertain the people,” said concert co-promoter Doc Jones from the International Jazz Day AZ Foundation. Abney's talent is not entirely bound to the trumpet. He moves from drums to keys to vocals with an agility that reveals his vast musicianship, style and rhythm, Jones said. Introduced to the piano at age 7 and to drums at age 11, Abney said his inspiration came in the form of his uncle’s piano playing and the musical inclinations of his church's members. He noted a distinct, heavy Southern Baptist gospel sound in his church — something he links to the fact that many Mississippi, Alabama and Louisiana transplants were living in Chicago. After getting hooked on trumpet in his high school years and learning about the work of pioneers Miles Davis, Dizzy Gillespie and Louis Armstrong, Abney said he was encouraged by his mother, Ora Abney. She often took him and other young musicians to Fred Anderson's legendary Velvet Lounge, a landmark Chicago jazz club known worldwide for its spirited jazz jam events. Playing his horn and learning from a wide range of seasoned players at Velvet Lounge, Abney began to hone his performance skills and showmanship, he said. He was beginning to make the connections between jazz and the music of his communities, recognizing that gospel, hip hop, blues and roots could all intersect with jazz, Abney said. Often seen dancing dexterously across the stage during his performances and yelling encouraging words to his band members, Abney's live shows are a vibrant celebration of the dynamic Chicago and New Orleans musical influences that he embodies. Abney has performed at Kennedy Center, the New Orleans Jazz and Heritage Festival, Jazz Aspen Snowmass, Saratoga Jazz Festival and other esteemed venues across the country. He played a fictionalized version of himself in HBO's hit series "Treme," performing as part of fictional New Orleans band Soul Apostles. He has performed on stage with musicians Ellis Marsalis, Jimmy Cobb, Erykah Badu, Christian McBride, Herlin Riley, Bill Summers, Nicholas Payton, Kermit Ruffins, Roy Hargrove and many more. 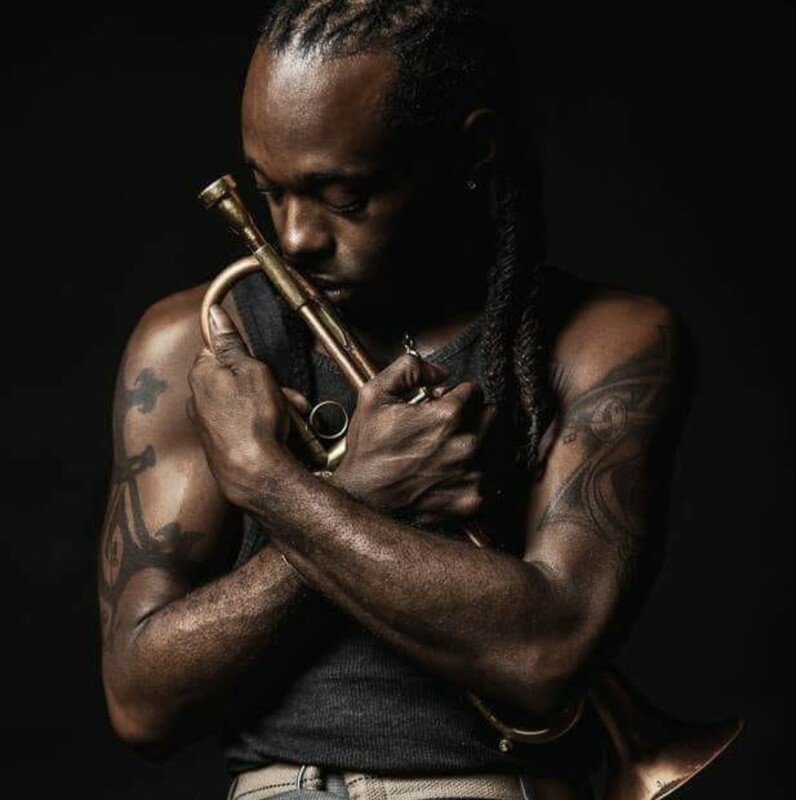 At the ASU Kerr show, Abney will pay tribute to the late Hargrove, a personal friend and Grammy Award-winning fellow trumpeter who died in 2018, Jones said. Abney will be joined April 5 by Buddy Banks (drums) and Jermaine Lockhart (tenor sax, soprano sax). Tickets are $30 premium, $25 reserved and $20 general admission and available at asukerr.com, 480-596-2660 or in person at the ASU Kerr box office. Students with valid ID, ASU faculty and ASU staff receive $10 general admission seats. "Mario Abney's positive energy will draw you in, and his music gets something moving in your heart and soul," said Tracey Mason, ASU Kerr general manager. "You just have to tap your toes, clap or get up and dance."